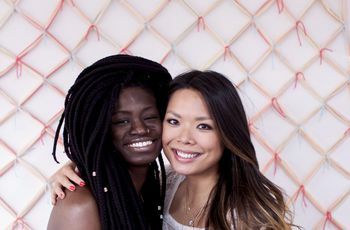 This lace doily DIY cost under $12—and took us less than an hour to make. 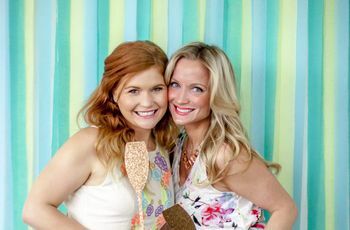 Looking for an easy photo booth backdrop for a casual or rustic wedding? 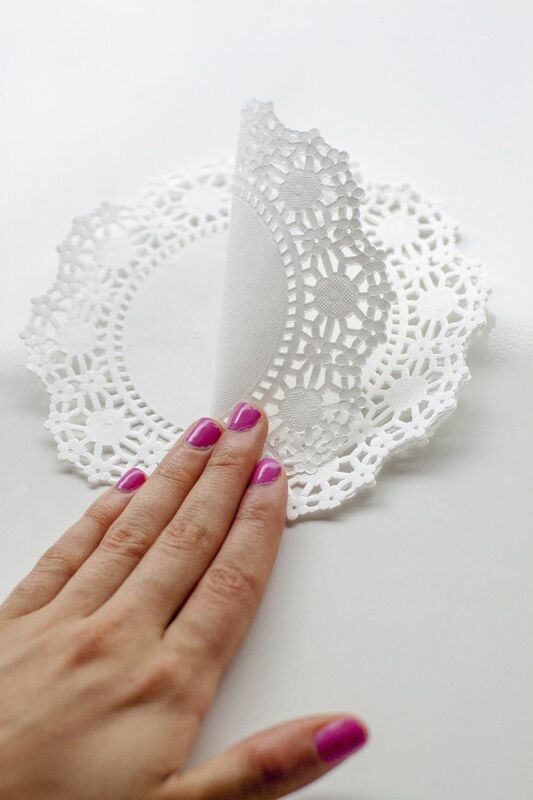 This lace doily DIY cost under $12—and took us less than an hour to make. 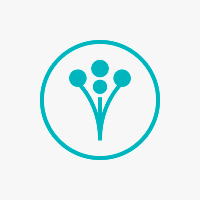 Check out the step-by-step process! If you're building this for a casual wedding, pastel and light colored yarn works best. 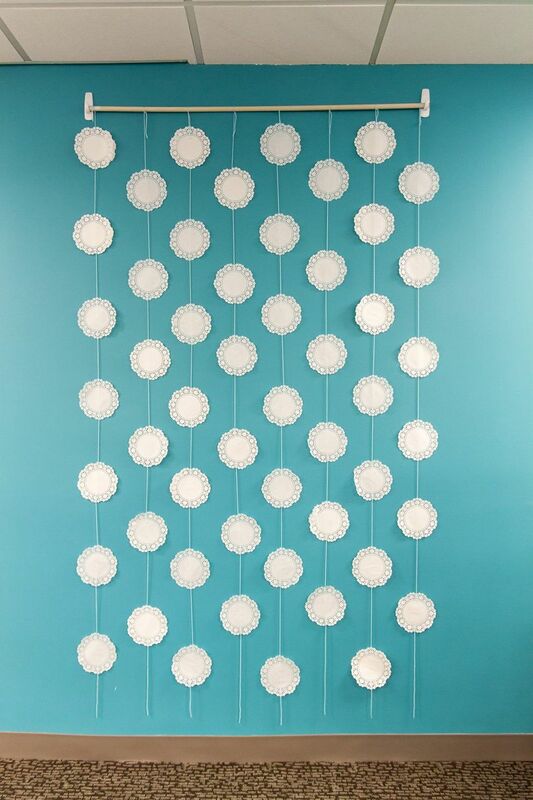 Also worth noting: we used doilies with a 6" diameter. 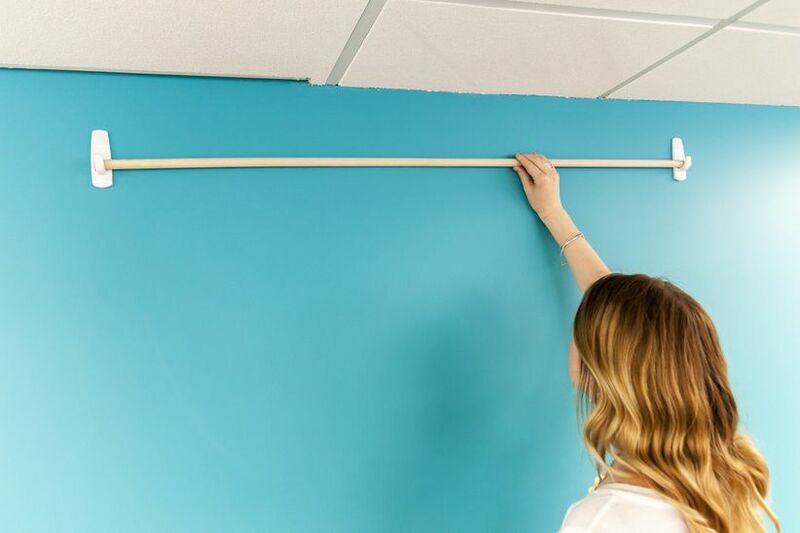 The first thing you'll want to do is set up the dowel hanger. Click here for instructions. Don't worry—it's a simple process! 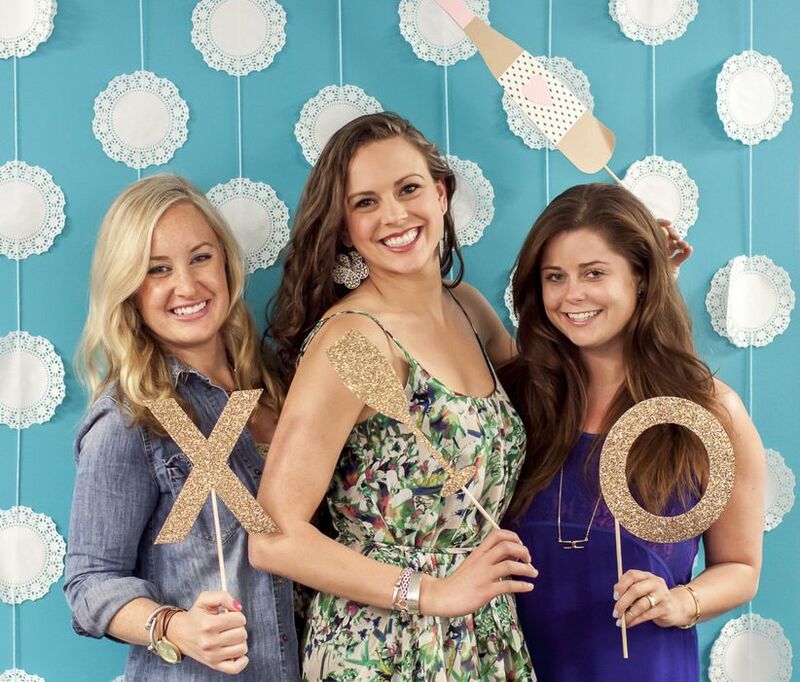 Because this backdrop is so simple, we recommend creating it right at the reception space! 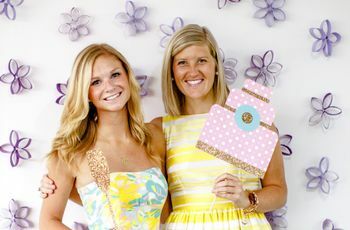 Assign the task to younger relatives or junior members of your wedding party—it will help them feel included in the big day. After the dowel has been hung, tie strings to the dowel at 8" intervals. They should touch the floor while hanging (you can cut off excess string at the end). Next step is to get your doilies prepped. You'll want to have them stacked 2 or 3 at a time before you string them (the thicker weight prevents them from turning during the night). 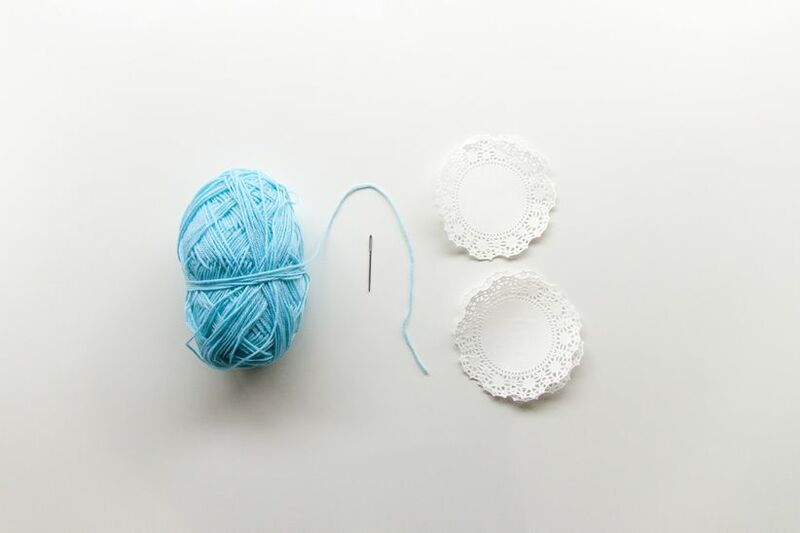 Threading the doilies is super easy if you use a yarn needle! 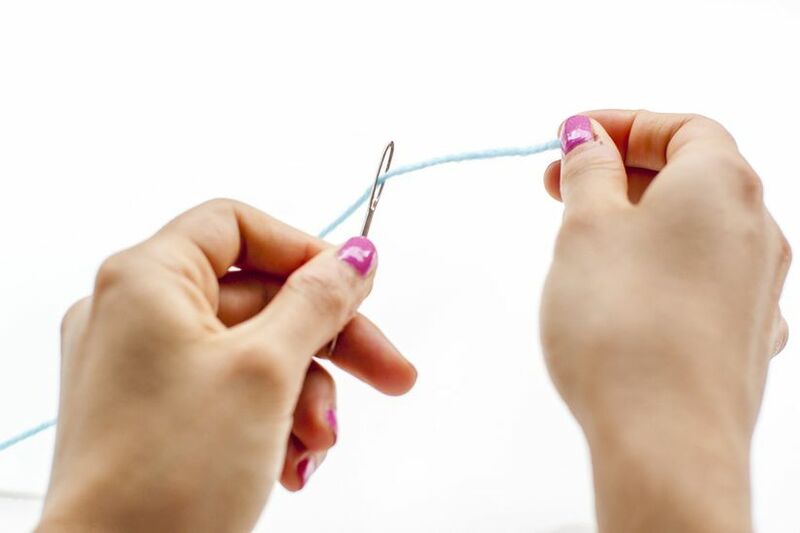 Thread it onto the bottom of your first string. Thread the needle front to back through an eye at the top of the doily. Find the eye straight across from eye you entered at the bottom of the doily. Thread your needle back to front through this eye. If you've done it correctly, the back of the doily will look like this. 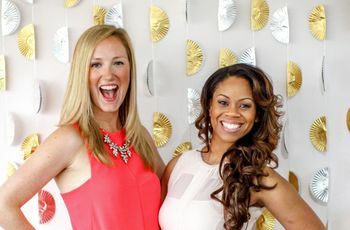 Spacing is key in creating this backdrop. Work from left to right, and string the first doily all the way to the top on the left-most strand. 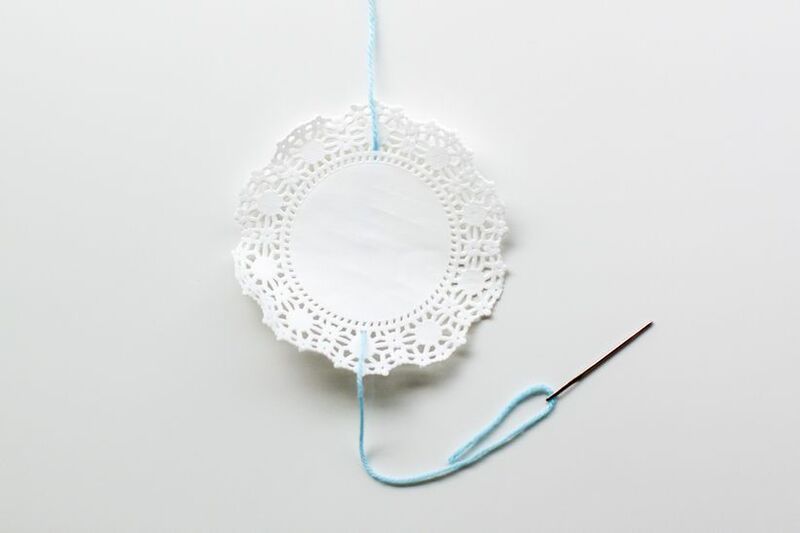 Leave approximately 8" of space between each doily you string, and keep threading them on until you reach roughly one foot above the floor. On the second strand, thread the first doily so that it falls in the space between the first and second doilies on the first strand. 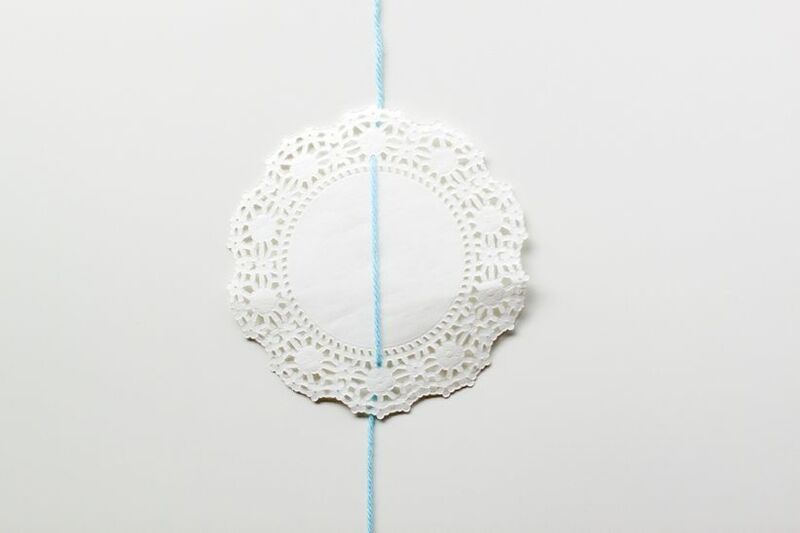 Thread the next doily on this strand so that it falls in the space between the second and third doilies on the first strand. Repeat these actions to achieve the stilted effect you see here. Your backdrop should look like this when complete. Now bust out the props and start having fun!